Unfortunately, because of a problem in iOS (the operating system for iPhones and iPads), installing a signature directly causes the font to be converted to Times New Roman. 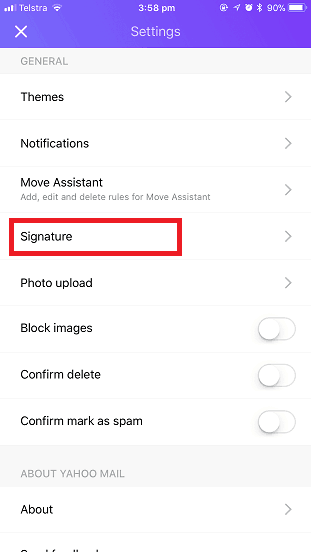 In order to prevent the change, you must install the signature in another email program first, such as Outlook or Gmail, send an empty email with the signature to the iPhone / iPad, copy the signature into the email signature field, then you need to shake the phone until a menu appears, finally select “undo” and the signature should work. 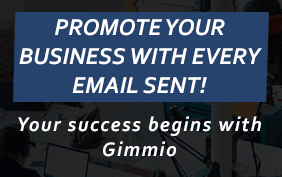 Install the email signature into another email program such as Outlook or Gmail. 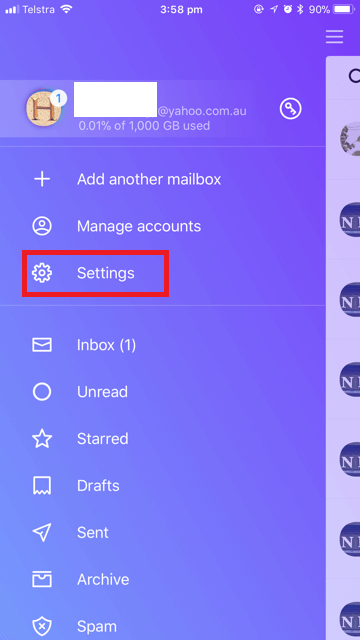 Send an empty email (with the signature) from the other email program to the email account that is set up on the iPhone / iPad. 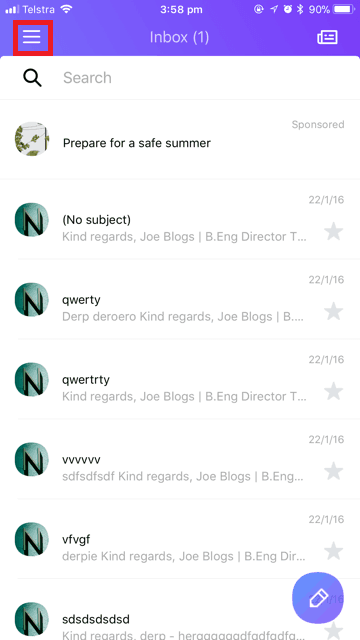 Open the email on your iOS device, press and hold over any plain text in the signature, then press “Select All” and then press “Copy”. 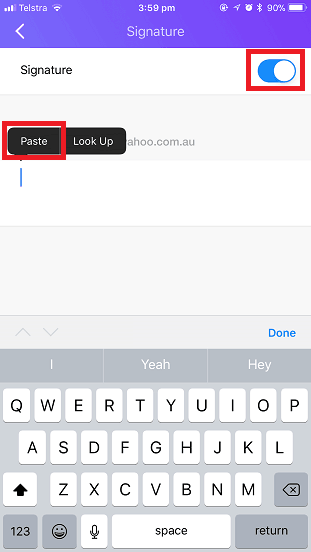 Open the Yahoo Mail App on your iPhone or iPad. In the top left, press the menu button, then press Settings. In the Settings menu, scroll down until you see Signature and go into it. Ensure that the Signature toggle button is set to “ON”. 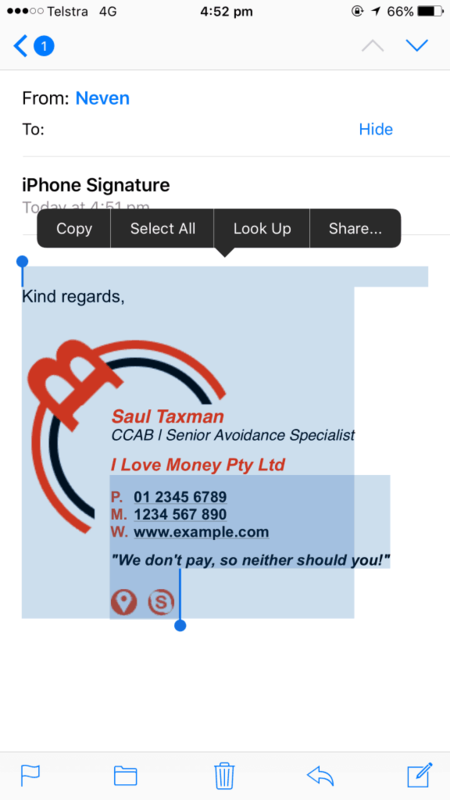 Remove any text that is currently in the signature text area, such as “Sent from my iPhone”. Press and hold over the email signature text area until a pop up box comes up and then paste the new signature. Important: Once you have pasted the signature into the box, shake the phone until the popup window below shows up and choose “Undo”.